Spring has arrived, and the better weather conditions make it a good time to inspect your roof for damage. However, it’s understandable that not everyone is comfortable climbing up a ladder. 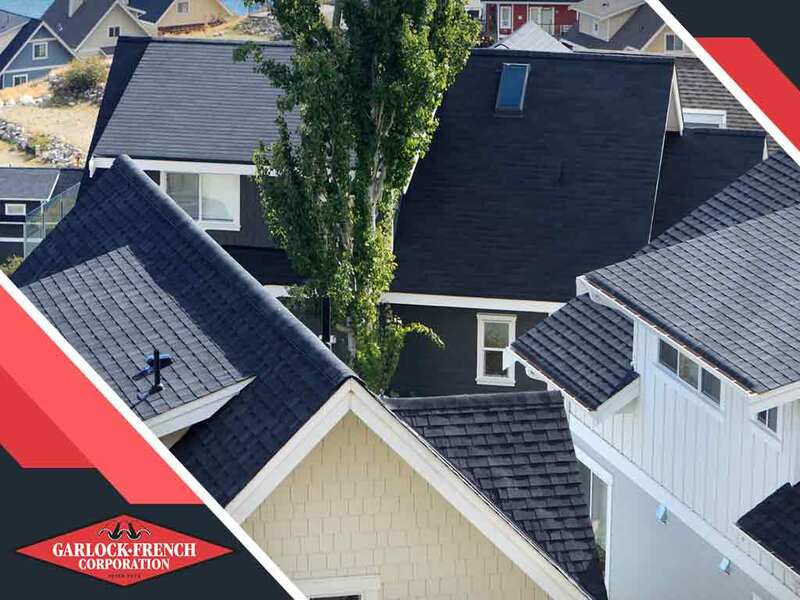 In this post, one of the most trusted local roofing contractors, Garlock-French Corporation, discusses how you can perform a roof inspection without using a ladder. Start your indoor roof inspection in the attic, preferably during the day. If some spots require lighting, you can use a flashlight. Check for sunlight passing through the plywood. This may indicate holes in the deck, which can cause leaks and water damage. You can also look out for dark stains or streaks. These marks are probably caused by moisture from rain or ventilation. Consult a roofing expert to confirm the cause of the stains. Lastly, inspect for any sagging. It indicates a weakening of the deck due to water damage. It may also signify structural issues that should be checked by a professional. Begin your outdoor inspection by walking around the house, spotting problems from the areas you can see from the ground. Look for missing shingles because they have to be replaced immediately. High winds may have caused the shingles to curl or crack. Talk with your roofer about whether the parts have to be replaced or repaired. Harsh weather can cause the granule fallout so inspect the shingles for dark patches. These granules act as your roof’s shield against weather and harmful ultraviolet (UV) rays. Severe fallout can cause the shingles to dry out and crack. Keep an eye on debris, especially tree branches because they can cause cracks and loosen the granules from the shingles. Moreover, check if the flashing on your chimney and vents are bent or detached. They should be properly sealed to make sure that water doesn’t penetrate your home. It’s best to have a roofing contractor perform a comprehensive inspection on your roof. This also ensures proper repairs or replacement are performed. Choose us at Garlock-French Corporation for your roof maintenance. We are your leading provider of tile, slate and metal roofing. Call us at (612) 722-7129, or fill out our online form for a free quote. We serve clients in Minneapolis, MN.